Melko is a Brazilian fashion destination that brings the sunshine with its bright prints and sparkly accessories. 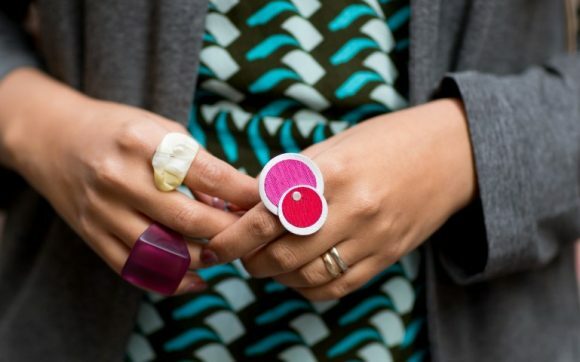 Pick up a colourful, geometric Monica scrunch ring in lightweight recyclable anodized aluminium or the Mondrian range with coloured, recycled telephone wire on hand-stamped aluminium. Melko’s big winter sale is on from Friday 20 to Sunday 22 July. Maintain your pooch or your purring pride and joy in the lifestyle to which they have become accustomed with a little treat from The Paw Principality. Find quirky knick knacks for yourself like French bulldog rings for $9.95, cat knee high socks at $19.95 or a cute cat mug for $14.95 for your desk. Whether it’s in a hot toddy or a spicy chai, honey is an essential winter warmer. 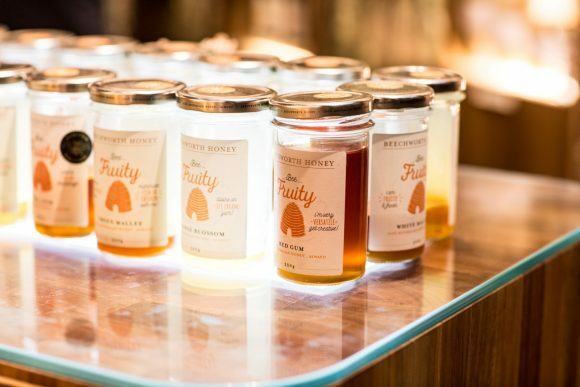 Beechworth Honey‘s new shop in The Block Arcade features a honey-tasting station bursting with more than 30 wonderful flavours. A jar will set you back between $7.50 – 8.50, or pick up a lip balm ($8.95) from their extensive range. 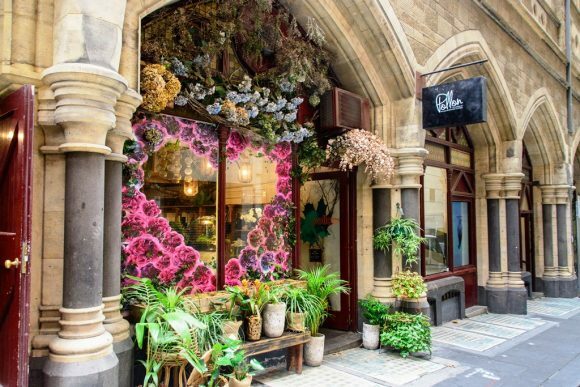 Warm the cockles of your heart with a visit to the shop that celebrates our magnificent city, Melbournalia. There’s home comforts aplenty from cosy knits to delicious rooftop honey, locally made chocolate, soothing bath salts and organic soaps. Try a cheery cotton treasure trambag for $19 with a digitally printed Melbourne trams, or a calico Flinders Tote for $20, featuring an original illustration of Flinders Street Station’s stained glass windows. A haven for bookworms and lovers of beautiful printed publications, World Food Books in the Nicholas Building nourishes the spirit and provides plenty of food for thought. 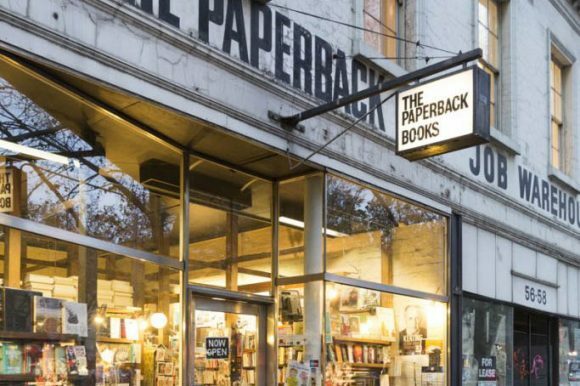 Check out their range of $20 books published by art dealer David Zwirner. 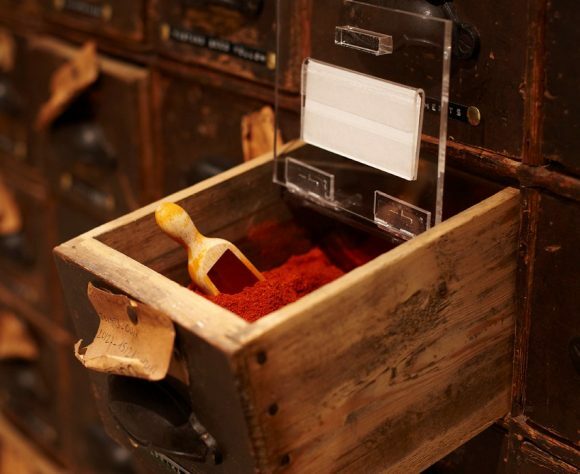 Let your senses guide you with a trip to the Gewürzhaus Carlton or Block Arcade. Pick up an aromatic bespoke tea blend, dukkah or some delicious spices. You pay by the scoop, so a little goes a long way, well under $20 a pop. Pep up your home baking with some apple cake spice or stave off oncoming chills with cold and flu tea. 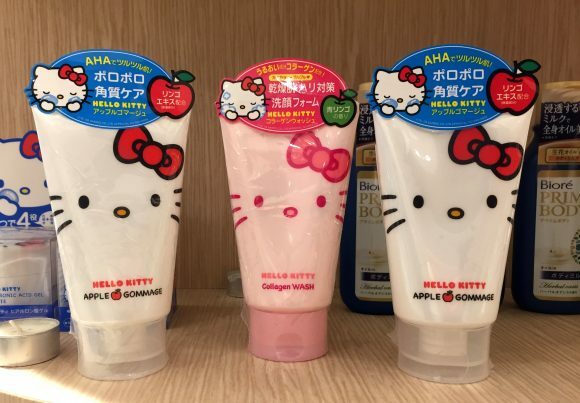 Specialising in Japanese and Korean cosmetics, drinks, snacks and more, Merry Seasons is like an upscale version of DAISO. Pick up a hydrating facial treatment, like the Dr Jart Cerimidin mask, from their towering wall of sheet masks for under a tenner. There are extensive lines of very kawaii stationery and homewares. 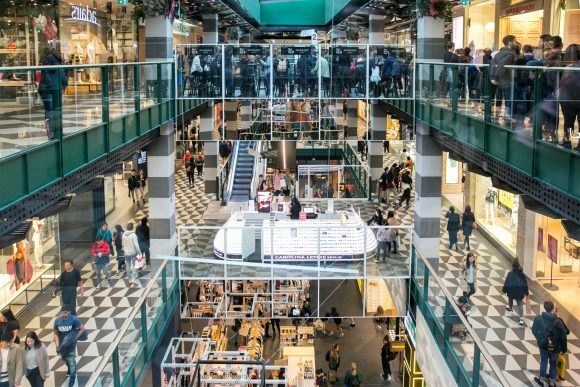 Head to Milligram inside Melbourne Central for a cornucopia of cute, with adorable nanoblocks and pins under $20. 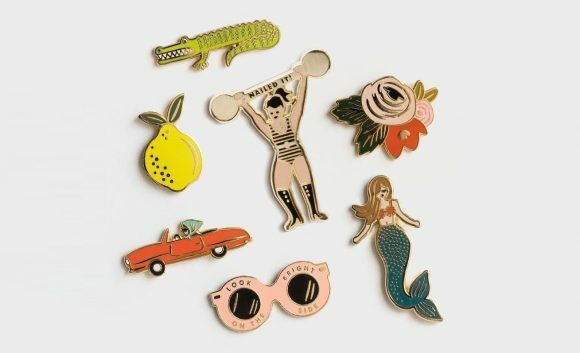 The Rifle Paper Co. pun pins are especially sweet. 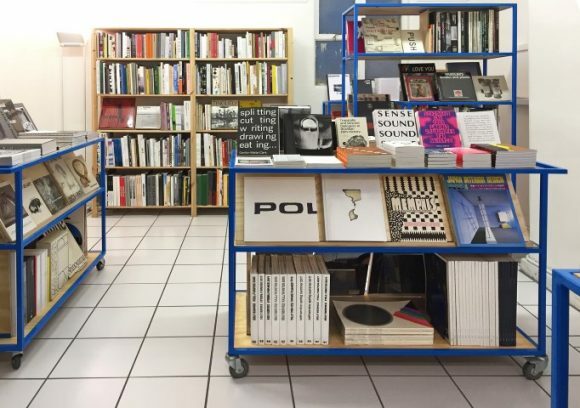 Not just a place for classes and events, The School of Life is a light and airy store with a range of books published by the School themselves. Find out ‘How to Reform Capitalism’ or discover (finally!) ‘What Should I do with my Life’. There are notebooks and pencils, and conversation cards to help you communicate with others. An Australian label with designs made in Italy, Jay Dillon Menswear sports an eclectic range of classic and statement pieces. 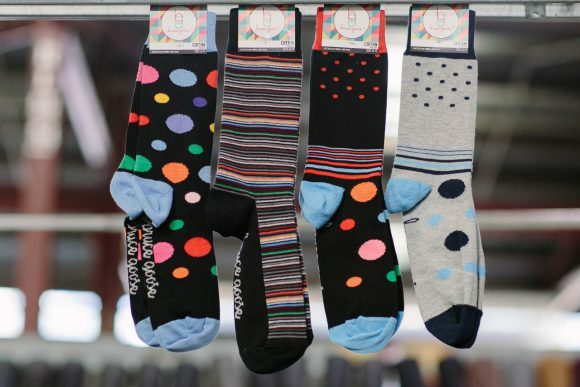 The $19 Fratellini socks are bold, colourful and fun – just the thing when the clouds are gathering. 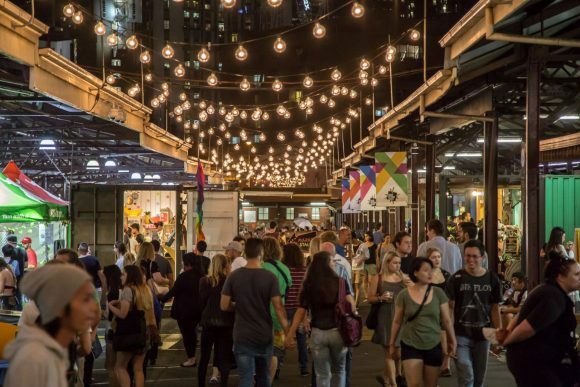 There’s no better way to take your mind off the cold than browsing the stalls at Queen Victoria Market. Stay warm this winter with socks from Bruce Goose, who’ve been at the market for over 30 years, or grab a beanie from The Hat Project. The mulled wine syrup from ReWine is another guaranteed cold weather crowd-pleaser.